But what distinguishes an outrageous theory from a non-outrageous one? This is one of the central questions in the philosophy of science. When confronted by rival theories---let’s say Neo-Darwinian Evolution and Intelligent Design---scientists and philosophers of science ask which theory is better and why. The mark of a good theory is that it can explain, in a coherent way, all or at least most of the relevant facts and is not contradicted by any of them. A bad theory is one that is contradicted by some of the relevant facts. An outrageous theory would be one that is contradicted by virtually all the relevant facts. The official theory is rendered implausible by two major problems. The first is the simple fact that fire has never---prior to or after 9/11---caused steel-frame high-rise buildings to collapse. Defenders of the official story seldom if ever mention this simple fact. Indeed, the supposedly definitive report put out by NIST---the National Institute for Standards and Technology (2005)---even implies that fire-induced collapses of large steel-frame buildings are normal events (Hoffman, 2005). Far from being normal, however, such collapses have never occurred, except for the alleged cases of 9/11. The official theory of the collapse, therefore, is essentially a fire theory, so it cannot be emphasized too much that fire has never caused large steel-frame buildings to collapse---never, whether before 9/11, or after 9/11, or anywhere in the world on 9/11 except allegedly New York City---never. These claims, however, are absurd. Steel does not even begin to melt until it reaches almost 2800° Fahrenheit. And yet open fires fueled by hydrocarbons, such as kerosene---which is what jet fuel is---can at most rise to 1700°F, which is almost 1100 degrees below the melting point of steel. We can, accordingly, dismiss the claim that the towers collapsed because their steel columns melted. NIST (2005) says that it “did not generalize these results, since the examined columns represented only 3 percent of the perimeter columns and 1 percent of the core columns from the fire floors”. That only such a tiny percent of the columns was available was due, of course, to the fact that government officials had most of the steel immediately sold and shipped off. In any case, NIST’s findings on the basis of this tiny percent of the columns are not irrelevant: They mean that any speculations that some of the core columns reached much higher temperatures would be just that---pure speculation not backed up by any empirical evidence. Sudden Onset: In controlled demolition, the onset of the collapse is sudden. One moment, the building is perfectly motionless; the next moment, it suddenly begins to collapse. But steel, when heated, does not suddenly buckle or break. So in fire-induced collapses---if we had any examples of such---the onset would be gradual. Horizontal beams and trusses would begin to sag; vertical columns, if subjected to strong forces, would begin to bend. But as videos of the towers show, there were no signs of bending or sagging, even on the floors just above the damage caused by the impact of the planes. The buildings were perfectly motionless up to the moment they began their collapse. This theory faces two problems. First, NIST’s claim about tremendously hot fires in the core is completely unsupported by evidence. As we saw earlier, its own studies found no evidence that any of the core columns had reached temperatures of even 482°F (250°C), so its theory involves a purely speculative addition of over 1350°F. Second, even if this sequence of events had occurred, NIST provides no explanation as to why it would have produced global—-that is, total--collapse. The NIST Report asserts that “column failure” occurred in the core as well as the perimeter columns. But this remains a bare assertion. There is no plausible explanation of why the columns would have broken or even buckled, so as to produce global collapse at virtually free-fall speed, even if they had reached such temperatures. The question of the source of the needed energy again arises. Hoffman (2003), focusing on the expansion of the North Tower’s dust cloud, calculates that the energy required simply for this expansion---ignoring the energy needed to slice the steel and pulverize the concrete and other materials---exceeded by at least 10 times the gravitational energy available. The official account, therefore, involves a huge violation of the laws of physics---a violation that becomes even more enormous once we factor in the energy required to pulverize the concrete (let alone the energy required to break the steel). The importance of King’s point can be appreciated by juxtaposing it with the claim by Shyam Sunder, NIST’s lead investigator, that although the clouds of dust created during the collapses of the Twin Towers may create the impression of a controlled demolition, “it is the floor pancaking that leads to that perception" (Popular Mechanics, 2005). The pancaking, according to the official theory being defended by Sunder, began at the floor beneath the holes created by the impact of the airliners. As King points out, this theory cannot handle the fact, as revealed by the photographs and videos, that dust clouds were created far above the impact zones. Also, Leslie Robertson, the chief structural engineer for the Twin Towers, said: “As of 21 days after the attack, the fires were still burning and molten steel was still running” (Williams, 2001). Knight-Ridder journalist Jennifer Lin, discussing Joe "Toolie" O'Toole, a Bronx firefighter who worked for many months on the rescue and clean-up efforts, wrote: "Underground fires raged for months. O'Toole remembers in February seeing a crane lift a steel beam vertically from deep within the catacombs of Ground Zero. 'It was dripping from the molten steel," he said'" (Lin, 2002). Greg Fuchek, vice president of sales for LinksPoint, Inc., which supplied some of the computer equipment used to identify human remains at the site, described the working conditions as "hellish," partly because for six months, the ground temperature varied between 600 degrees Fahrenheit and 1,500 degrees or higher. Fuchek added that "sometimes when a worker would pull a steel beam from the wreckage, the end of the beam would be dripping molten steel" (Walsh, 2002). And still more witnesses spoke of molten steel. Most of these 11 features---all but the slicing of the core columns and the molten steel in the basements---are features that, if they occurred before or during the collapses of the towers, could have been observed by people in the area. And, in fact, testimonies about some of these phenomena have been available, since shortly after 9/11, from reporters, fire fighters, police officers, people who worked in the towers, and one prominent explosives expert, Van Romero,  who said on that very day after viewing the videotapes, that the collapses not only resembled those produced by controlled implosions but must, in fact, have been caused by “some explosive devices inside the buildings” because they were “too methodical” to have been chance results of the airplane strikes (Uyttebrouck, 2001). Some of these testimonies were very impressive. There were, however, only a few of them and they were scattered here and there. No big body of testimony was readily accessible. Several people reported multiple explosions. Paramedic Kevin Darnowski said: "I heard three explosions, and then . . . tower two started to come down” (NYT, Darnowski, p. 8). Firefighter Thomas Turilli said, “it almost sounded like bombs going off, like boom, boom, boom, like seven or eight" (NYT, Turilli, p. 4). Firefighter Joseph Meola said, “it looked like the building was blowing out on all four sides. We actually heard the pops" (NYT, Meola, p. 5). Captain Karin Deshore said: “Somewhere around the middle . . . there was this orange and red flash coming out. Initially it was just one flash. Then this flash just kept popping all the way around the building and that building had started to explode. . . . [W]ith each popping sound it was initially an orange and then a red flash came out of the building and then it would just go all around the building on both sides as far as I could see. These popping sounds and the explosions were getting bigger, going both up and down and then all around the building" (NYT, Deshore, p. 15). Deputy Commissioner Thomas Fitzpatrick said: “It looked like sparkling around one specific layer of the building. . . . My initial reaction was that this was exactly the way it looks when they show you those implosions on TV" (NYT, Fitzpatrick, pp. 13-14). This testimony is important, because the official theory holds that the ejections were produced by the floors collapsing. So listen to firefighter James Curran, who said: “I looked back and . . . I heard like every floor went chu-chu-chu. I looked back and from the pressure everything was getting blown out of the floors before it actually collapsed" (NYT, Curran, pp. 10-11). Battalion Chief Brian Dixon said, “the lowest floor of fire in the south tower actually looked like someone had planted explosives around it because . . . everything blew out on the one floor" (NYT, Dixon, p. 15). Some witnesses said that the explosions seemed to be synchronized. For example, firefighter Kenneth Rogers said, “there was an explosion in the south tower. . . . I kept watching. Floor after floor after floor. One floor under another after another . . . [I]t looked like a synchronized deliberate kind of thing" (NYT, Rogers, pp. 3-4). However, Mayor Bloomberg, defending the decision to dispose of the steel, said: "If you want to take a look at the construction methods and the design, that's in this day and age what computers do. Just looking at a piece of metal generally doesn't tell you anything." But that is not true. An examination of the steel could have revealed whether it had been cut by explosives. North Tower Antenna Drop: Another problem noted by FEMA is that videos show that, in the words of the FEMA Report, “the transmission tower on top of the [north tower] began to move downward and laterally slightly before movement was evident at the exterior wall. This suggests that collapse began with one or more failures in the central core area of the building” (FEMA 2002, ch. 2). This drop was also mentioned in a New York Times story by James Glanz and Eric Lipton, which said: “Videos of the north tower's collapse appear to show that its television antenna began to drop a fraction of a second before the rest of the building. The observations suggest that the building's steel core somehow gave way first” (Glanz and Lipton, 2002). In the supposedly definitive NIST Report, however, we find no mention of this fact. This is another convenient omission, since the most plausible, and perhaps only possible, explanation would be that the core columns were cut by explosives---an explanation that would fit with the testimony of several witnesses. South Tower Tipping and Disintegration: If the north tower’s antenna drop was anomalous (from the perspective of the official theory), the south tower’s collapse contained an even stranger anomaly. The uppermost floors---above the level struck by the airplane---began tipping toward the corner most damaged by the impact. According to conservation-of-momentum laws, this block of approximately 34 floors should have fallen to the ground far outside the building’s footprint. “However,” observe Paul and Hoffman, “as the top then began to fall, the rotation decelerated. Then it reversed direction [even though the] law of conservation of angular momentum states that a solid object in rotation will continue to rotate at the same speed unless acted on by a torque” (Paul and Hoffman, 2004, p. 34). WTC Security: The suggestion that explosives might have been used raises the question of how anyone wanting to place explosives in the towers could have gotten through the security checks. This question brings us to a possibly relevant fact about a company---now called Stratesec but then called Securacom---that was in charge of security for the World Trade Center. From 1993 to 2000, during which Securacom installed a new security system, Marvin Bush, the president’s brother, was one of the company’s directors. And from 1999 until January of 2002, their cousin Wirt Walker III was the CEO (Burns, 2003). One would think these facts should have made the evening news---or at least The 9/11 Commission Report. The most reasonable answer, especially in light of the new evidence, is that someone knew that explosives had been set in the south tower and were about to be discharged. It is even possible that the explosives were going to be discharged earlier than originally planned because the fires in the south tower were dying down more quickly than expected, because so much of the plane’s jet fuel had burned up in the fireball outside the building. This could explain why although the south tower was struck second, suffered less structural damage, and had smaller fires, it collapsed first---after only 56 minutes. That is, if the official story was going to be that the fire caused the collapse, the building had to be brought down before the fire went completely out. The focus of the Investigation was on the sequence of events from the instant of aircraft impact to the initiation of collapse for each tower. For brevity in this report, this sequence is referred to as the "probable collapse sequence," although it does not actually include the structural behavior of the tower after the conditions for collapse initiation were reached. . . . [Our simulation treats only] the structural deterioration of each tower from the time of aircraft impact to the time at which the building . . . was poised for collapse (80n, 140). The extreme difficulty of explaining the collapse of building 7—-assuming that it is not permissible to mention controlled demolition---has been recognized by the official bodies. The report prepared under FEMA’s supervision came up with a scenario employing the diesel fuel, then admitted that this scenario had “only a low probability of occurrence.” Even that statement is generous, because the probability that some version of the official story of building 7 is true is the same as it is for the towers, essentially zero, because it would violate several laws of physics. In any case, the 9/11 Commission, perhaps because of this admission by FEMA, avoided the problem by simply not even mentioning the fact that this building collapsed. The likelihood of near-symmetrical collapse of WTC7 due to random fires (the "official" theory)---requiring as it does near-simultaneous failure of many support columns---is infinitesimal. I conclude that the evidence for the 9/11 use of pre-positioned explosives in WTC 7 (also in Towers 1 and 2) is truly compelling. There are at least two problems with each part of this explanation. One problem with the accounts of the structural damage is that they vary greatly. According to Fellini’s testimony, there was a four-floor hole between the third and sixth floors. In the telling of Captain Chris Boyle, however, the hole was “20 stories tall” (2002). It would appear that Shyam Sunder, the lead investigator for NIST, settled on somewhat of a compromise between these two views, telling Popular Mechanics that, “On about a third of the face to the center and to the bottom--approximately 10 stories--about 25 percent of the depth of the building was scooped out” (Popular Mechanics, March 2005). The different accounts of the problem on the building’s south side are not, moreover, limited to the issue of the size of the hole. According to Deputy Chief Peter Hayden, the problem was not a hole at all but a “bulge,” and it was “between floors 10 and 13" (Hayden, 2002). With regard to the claims about the fire, the accounts again vary greatly. Chief Daniel Nigro spoke of “very heavy fire on many floors” (NYT, Nigro, p. 10). According to Harry Meyers, an assistant chief, "When the building came down it was completely involved in fire, all forty-seven stories" (quoted in Smith, 2002, p. 160). That obvious exaggeration was also stated by a firefighter who said: “[Building 7] was fully engulfed. . . . [Y]ou could see the flames going straight through from one side of the building to the other” (NYT, Cassidy, p. 22). Several of the testimonies, however, did not support the official line. For example, medical technician Decosta Wright said: “I think the fourth floor was on fire. . . . [W]e were like, are you guys going to put that fire out?” (NYT, Wright, p. 11). Chief Thomas McCarthy said: “[T]hey were waiting for 7 World Trade to come down. . . . They had . . . fire on three separate floors . . . , just burning merrily. It was pretty amazing, you know, it's the afternoon in lower Manhattan, a major high-rise is burning, and they said ‘we know’” (NYT, McCarthy, pp. 10-11). Moreover, even if the department’s official story about the collapse of building 7 were not contradicted by physical evidence and some of the oral histories, it would not explain why the building collapsed, because no amount of fire and structural damage, unless caused by explosives, had ever caused the total collapse of a large steel-frame building. And it certainly would not explain the particular nature of the collapse---that the building imploded and fell straight down rather than falling over in some direction, as purportedly expected by those who gave the order to create a large collapse zone. Battalion Chief John Norman, for example, said: “We expected it to fall to the south” (Norman 2002). Nor would the damage-plus-fire theory explain this building’s collapse at virtually free-fall speed or the creation of an enormous amount of dust—additional features of the collapses that are typically ignored by defenders of the official account. We still, however, have the question of why the fire department came to expect the building to collapse. It would be interesting, of course, if that information came from the same agency, the Office of Emergency Management, that had earlier informed the department that one of the towers was going to collapse. And we have it on good authority that it did. Captain Michael Currid, the president of the Uniformed Fire Officers Association, said that some time after the collapse of the Twin Towers, “Someone from the city's Office of Emergency Management” told him that building 7 was “basically a lost cause and we should not lose anyone else trying to save it," after which the firefighters in the building were told to get out (Murphy, 2002, pp. 175-76). 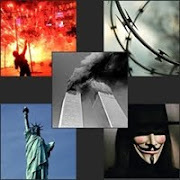 In light of this situation and the facts discussed in this essay---as well as dozens of more problems in the official account of 9/11 discussed in my books---I call on the New York Times to take the lead in finally exposing to the American people and the world the truth about 9/11. Taking the lead on such a story will, of course, involve enormous risks. But if there is any news organization with the power, the prestige, and the credibility to break this story, it is the Times. It performed yeoman service in getting the 9/11 oral histories released. But now the welfare of our republic and perhaps even the survival of our civilization depend on getting the truth about 9/11 exposed. I am calling on the Times to rise to the occasion. Bush’s more complete statement was: “We must speak the truth about terror. Let us never tolerate outrageous conspiracy theories concerning the attacks of 11 September---malicious lies that attempt to shift the blame away from the terrorists themselves, away from the guilty.” Excellent advice. One well-known attempt to defend the official account has tried to use the absurdity of the steel-melting claim against those who reject the official account. In its March issue of 2005, Popular Mechanics magazine published a piece entitled “9/11: Debunking the Myths” (http://www.popularmechanics.com/science/defense/1227842.html?page=1&c=y). This article sets out to debunk what it alleges to be “16 of the most prevalent claims made by conspiracy theorists.” One of these “poisonous claims,” according to Popular Mechanics, results from the fact that that these “conspiracy theorists” have created a straw-man argument---pretending that the official theory claims that the buildings came down because their steel melted---which the conspiracy theorists could then knock down. Popular Mechanics “refutes” this straw-man argument by instructing us that “[j]et fuel burns at 800° to 1500°F, not hot enough to melt steel (2750°F). However, experts agree that for the towers to collapse, their steel frames didn't need to melt, they just had to lose some of their structural strength.” As we have seen, however, the idea that the towers collapsed because their steel melted was put into the public consciousness by some early defenders of the official theory. For critics of this theory to show the absurdity of this claim is not, therefore, to attack a straw man. The idea that the official theory is based on this absurd claim is, in any case, not one of “the most prevalent claims” of those who reject the official theory. As physicist Steven Jones puts it, “the Towers fall very rapidly to the ground, with the upper part falling nearly as rapidly as ejected debris which provide free-fall references . . . . Where is the delay that must be expected due to conservation of momentum---one of the foundational Laws of Physics? That is, as upper-falling floors strike lower floors---and intact steel support columns---the fall must be significantly impeded by the impacted mass. . . . [B]ut this is not the case. . . . How do the upper floors fall so quickly, then, and still conserve momentum in the collapsing buildings? The contradiction is ignored by FEMA, NIST and 9/11 Commission reports where conservation of momentum and the fall times were not analyzed” (Jones, 2006; until then available at http://www.physics.byu.edu/research/energy/htm7.html). The RDX quotation is in Tom Held, 'Hoan Bridge Blast Set Back to Friday,' www.jsonline.com (Milwaukee Journal Sentinel), Updated Dec. 19, 2000 (http://www.jsonline.com/news/metro/dec00/hoan20121900a.asp ). The DREXS quotation is in Hufschmid’s video, “Painful Deceptions” (www.EricHufschmid.Net). The available evidence, says Hoffman (2003), suggests that the dust particles were very small indeed---on the order of 10 microns. Professor Allison Geyh (2001) of Johns Hopkins, who was part of a team of public health investigators who visited the site shortly after 9/11, wrote: "In some pockets now being uncovered they are finding molten steel”. Dr. Keith Eaton, who somewhat later toured the site with an engineer, said that he was shown slides of “molten metal, which was still red hot weeks after the event” (Structural Engineer, 2002, p. 6). Herb Trimpe (2002), an Episcopalian deacon who served as a chaplain at Ground Zero, said: "[I]t was actually warmer on site. The fires burned, up to 2,000 degrees, underground for quite a while. . . . I talked to many contractors and they said . . . beams had just totally had been melted because of the heat." This article in Popular Mechanics is, to be blunt, spectacularly bad. Besides the problems pointed out here and in note 11, above, and note 39, below, the article makes this amazing claim: “In the decade before 9/11, NORAD intercepted only one civilian plane over North America: golfer Payne Stewart's Learjet, in October 1999.” In reality, as genuine 9/11 researchers know, the FAA reported in a news release on Aug. 9, 2002, that it had scrambled fighters 67 times between September 2000 and June 2001, and the Calgary Herald (Oct. 13, 2001) reported that NORAD scrambled fighters 129 times in 2000. By extrapolation, we can infer that NORAD had scrambled fighters over 1000 times in the decade prior to 9/11. The claim by Popular Mechanics could be true only if in all of these cases, except for the Payne Stewart incident, the fighters were called back to base before they actually intercepted the aircraft in question. This is a most unlikely possibility, especially in light of the fact that Major Mike Snyder, a NORAD spokesperson, reportedly told the Boston Globe a few days after 9/11 that “[NORAD’S] fighters routinely intercept aircraft” (Johnson, 2001). As to why Popular Mechanics would have published such a bad article, one clue is perhaps provided by the fact that the article’s “senior researcher” was 25-year old Benjamin Chertoff, cousin of Michael Chertoff, the new head of the Department of Homeland Security (see Bollyn, 2005a). Another relevant fact is that this article was published shortly after a coup at this Hearst-owned magazine, in which the editor-in-chief was replaced (see Bollyn, 2005b). Young Chertoff’s debunking article has itself been effectively debunked by many genuine 9/11 researchers, such as Jim Hoffman, “Popular Mechanics' Assault on 9/11 Truth,” Global Outlook 10 (Spring-Summer 2005), 21-42 (which was based on Hoffman, “Popular Mechanics’ Deceptive Smear Against 9/11 Truth,” 911Review.com, February 15, 2005 [http://911review.com/pm/markup/index.html]), and Peter Meyer, “Reply to Popular Mechanics re 9/11,” http://www.serendipity.li/wot/pop_mech/reply_to_popular_mechanics.htm. To be sure, these articles by Hoffman and Meyer, while agreeing on many points, take different approaches in response to some of the issues raised. But both articles demonstrate that Popular Mechanics owes its readers an apology for publishing such a massively flawed article on such an important subject. Dispatcher: Received battalion command. Additional explosion (“911 Tapes Tell Horror Of 9/11,” Part 2, "Tapes Released For First Time", NBC, June 17, 2002 [www.wnbc.com/news/1315651/detail.html ]). Firefighter Louie Cacchioli reported that upon entering the north tower’s lobby, he saw elevator doors completely blown out and people being hit with debris. “I remember thinking . . . how could this be happening so quickly if a plane hit way above?” When he reached the 24th floor, he encountered heavy dust and smoke, which he found puzzling in light of the fact that the plane had struck the building over 50 stories higher. Shortly thereafter, he and another fireman “heard this huge explosion that sounded like a bomb. It was such a loud noise, it knocked off the lights and stalled the elevator.” After they pried themselves out of the elevator, he reported, “another huge explosion like the first one hits. This one hits about two minutes later . . . [and] I’m thinking, ‘Oh. My God, these bastards put bombs in here like they did in 1993!’ . . . Then as soon as we get in the stairwell, I hear another huge explosion like the other two. Then I heard bang, bang, bang---huge bangs” (Szymanski, 2005a). A briefer account of Cacchioli’s testimony was made available in the Sept. 24, 2001, issue of People magazine, some of which is quoted in Griffin, 2004, Ch. 1, note 74. Terri Tobin, a lieutenant with the NYPD public information office, said that during or just after the collapse of the south tower, "all I heard were extremely loud explosions. I thought we were being bombed” (Fink and Mathias, 2002, p. 82). A story in the Guardian said: “In New York, police and fire officials were carrying out the first wave of evacuations when the first of the World Trade Centre towers collapsed. Some eyewitnesses reported hearing another explosion just before the structure crumbled. Police said that it looked almost like a ‘planned implosion’” (Borger, Campbell, Porter, and Millar, 2001). Teresa Veliz, who worked for a software development company, was on the 47th floor of the north tower when suddenly “the whole building shook. . . . [Shortly thereafter] the building shook again, this time even more violently." Veliz then made it downstairs and outside. During this period, she says: “There were explosions going off everywhere. I was convinced that there were bombs planted all over the place and someone was sitting at a control panel pushing detonator buttons” (Murphy, 2002). William Rodriguez worked as a janitor in the north tower. While he was checking in for work in the office on sub-level 1 at 9:00 AM, he reports, he and the other 14 people in the office heard and felt a massive explosion below them. "When I heard the sound of the explosion,” he says, “the floor beneath my feet vibrated, the walls started cracking and everything started shaking. . . . Seconds [later], I hear another explosion from way above. . . . Although I was unaware at the time, this was the airplane hitting the tower.” Then co-worker Felipe David, who had been in front of a nearby freight elevator, came into the office with severe burns on his face and arms yelling "explosion! explosion! explosion!" According to Rodriguez: “He was burned terribly. The skin was hanging off his hands and arms. His injuries couldn’t have come from the airplane above, but only from a massive explosion below” (Szymanski, 2005b). Stationary engineer Mike Pecoraro, who was working in the north tower’s sixth sub-basement, stated that after his co-worker reported seeing lights flicker, they called upstairs to find out what happened. They were told that there had been a loud explosion and the whole building seemed to shake. Pecoraro and Chino then went up to the C level, where there was a small machine shop, but it was gone. "There was nothing there but rubble,” said Pecoraro. "We're talking about a 50 ton hydraulic press--gone!” They then went to the parking garage, but found that it, too, was gone. "There were no walls.” Then on the B Level, they found that a steel-and-concrete fire door, which weighed about 300 pounds, was wrinkled up "like a piece of aluminum foil." Finally, when they went up to the ground floor: “The whole lobby was soot and black, elevator doors were missing. The marble was missing off some of the walls” (Chief Engineer, 2002). Romero, it is true, changed his public stance 10 days later, as announced in Fleck, 2001. But this is not a convincing retraction. “Subsequent conversations with structural engineers and more detailed looks at the tape,” according to this article, led Romero to conclude that “the intense heat of the jet fuel fires weakened the skyscrapers' steel structural beams to the point that they gave way under the weight of the floors above.” But there is no indication as to what any structural engineer said, or what Romero saw in his “more detailed looks at the tape,” that led him to change his earlier view that the collapses were “too methodical” to have been produced by anything except explosives. There is no suggestion as to how weakened beams would have led to a total collapse that began suddenly and occurred at virtually free-fall speed. Romero has subsequently claimed that he did not change his stance. Rather, he claimed that he had been misquoted in the first story. “I was misquoted in saying that I thought it was explosives that brought down the building. I only said that that's what it looked like” (Popular Mechanics, 2005). But if that is the truth, it is strange that the second story, written by Fleck, did not say this but instead said that Romero had changed his mind. Romero clearly did change his mind---or, to be more precise, his public stance. Like many others, Dixon indicated that he later came to accept the official interpretation, adding: “Then I guess in some sense of time we looked at it and realized, no, actually it just collapsed. That's what blew out the windows, not that there was an explosion there but that windows blew out.” I have here, however, focused on what the witnesses said they first experienced and thought, as distinct from any interpretation they may have later accepted. Some of the testimonies also mentioned the creation of a dust cloud after the explosions. One firefighter said: “You heard like loud booms . . . and then we got covered with rubble and dust” (NYT, Viola, p. 3). Another said: “That's when hell came down. It was like a huge, enormous explosion. . . . The wind rushed. . . , all the dust. . . and everything went dark” (NYT, Rivera, p. 7). Lieutenant William Wall said: “[W]e heard an explosion. We looked up and the building was coming down . . . . We ran a little bit and then we were overtaken by the cloud” (NYT, Wall, p. 9). Paramedic Louis Cook, having said that there was “an incredible amount of dust and smoke,” added that there was, “without exaggerating, a foot and a half of dust on my car” (NYT, Cook, pp. 8, 35). On the other hand, if explosives were used in the buildings, there would be a high probability that all 11 features would have occurred in all three buildings. For this argument, I am indebted to James Fetzer, who---through his essay "'Conspiracy Theories': The Case of 9/11"---inspired it, and to Paul Zarembka, who helped with the final formulation. Bloomberg was thereby recommending precisely what Bill Manning, the editor of Fire Engineering, had warned against when he wrote: "As things now stand . . . , the investigation into the World Trade Center fire and collapse will amount to paper-and computer-generated hypotheticals” (Manning, 2002). What Bloomberg desired and Manning feared is exactly what we got with the NIST Report. It is, in fact, even worse. Physicist Steven Jones, after pointing out that there are “zero examples of fire-caused high-rise collapses” and that even NIST’s “actual [computer] models fail to collapse,” asks: “So how does the NIST team justify the WTC collapses?” He answers: “Easy, NIST concocted computer-generated hypotheticals for very ‘severe’ cases,” and then these cases were further modified to get the desired result. The NIST Report, Jones adds, admits this, saying on page 142: “The more severe case . . . was used for the global analysis of each tower. Complete sets of simulations were then performed for [these cases]. To the extent that the simulations deviated from the photographic evidence or eyewitness reports [e.g., complete collapse occurred], the investigators adjusted the input” (Jones, 2006). Bill Manning wrote: “The structural damage from the planes and the explosive ignition of jet fuel in themselves were not enough to bring down the towers. Fire Engineering has good reason to believe that the ‘official investigation’ blessed by FEMA . . . is a half-baked farce that may already have been commandeered by political forces whose primary interests, to put it mildly, lie far afield of full disclosure. Except for the marginal benefit obtained from a three-day, visual walk-through of evidence sites conducted by ASCE investigation committee members---described by one close source as a ‘tourist trip’---no one's checking the evidence for anything” (Manning, 2002). In “A Brief History of New York City’s Office of Emergency Management,” we read: “1996: By executive order, the Mayor's Office of Emergency Management is created. The Director reports directly to the Mayor, and serves as the local Director of Civil Defense” ( http://www.nyc.gov/html/oem/html/other/oem_history.html ). _____, 2005d. "Truth and Politics of 9/11: Omissions and Distortions of The 9/11 Commission Report,” Global Outlook, Issue 10 (Spring-Summer), pp. 45-56. Available at www.GlobalOutlook.ca. Hansen, Thomas, 2005. "Outrageous Conspiracy Theories: Report on a Conversation with Philip Zelikow," 9/11 Visibility Project, June 7 (http://www.septembereleventh.org/newsarchive/2005-06-07-outrageous.php ). Heller, David, 2005. "Taking a Closer Look: Hard Science and the Collapse of the World Trade Center," Garlic and Grass, Issue 6, November 24 (http://www.garlicandgrass.org/issue6/Dave_Heller.cfm ). Hoffman, Jim, 2003. “The North Tower's Dust Cloud: Analysis of Energy Requirements for the Expansion of the Dust Cloud Following the Collapse of 1 World Trade Center,” Version 3, 9-11 Research.wtc7.net, October 16 (http://911research.wtc7.net/papers/dustvolume/volume.html ). _____, 2005. “Building a Better Mirage: NIST's 3-Year $20,000,000 Cover-Up of the Crime of the Century,” 911 Research, August 21 (http://911research.wtc7.net/essays/nist/index.html). Jones, Steven E., 2006. "Why Indeed Did the WTC Buildings Collapse?" In Griffin and Scott, eds., 2006. Lin, Jennifer, 2002. "Recovery Worker Reflects on Months Spent at Ground Zero," Knight Ridder, May 29 (http://www.messenger-inquirer.com/news/attacks/4522011.htm ). Szymanski, Greg, 2005a. “NY Fireman Lou Cacchioli Upset that 9/11 Commission 'Tried to Twist My Words,’” Arctic Beacon, July 19 (http://www.arcticbeacon.com/articles/article/1518131/29548.htm ). _____, 2005b. “WTC Basement Blast and Injured Burn Victim Blows 'Official 9/11 Story' Sky High,” Arctic Beacon, June 24 (http://www.arcticbeacon.com/articles/article/1518131/28031.htm). Walsh, Trudy, 2002. "Handheld APP Eased Recovery Tasks," Government Computer News, Vol. 21, No. 27a, September 11 (http://www.gcn.com/21_27a/news/19930-1.html).